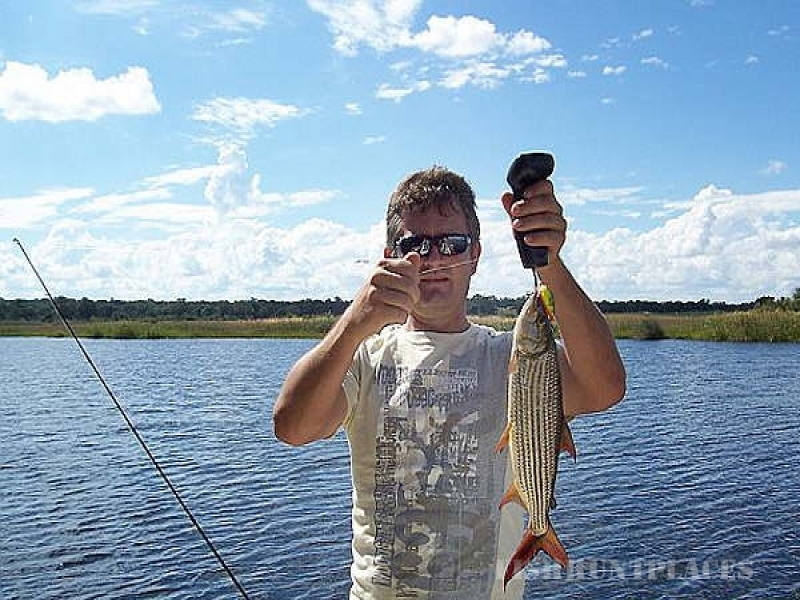 We specialise in fishing safaris, incorporating bank and boat angling, in Namibia, Zimbabwe, Botswana and Zambia. 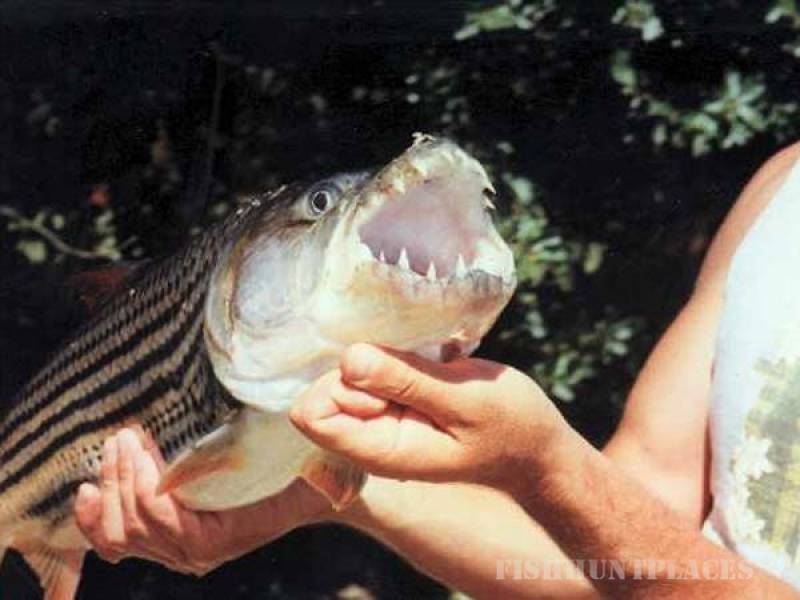 Target the powerful tiger fish, arguably the best fighting fresh water fish in the world. 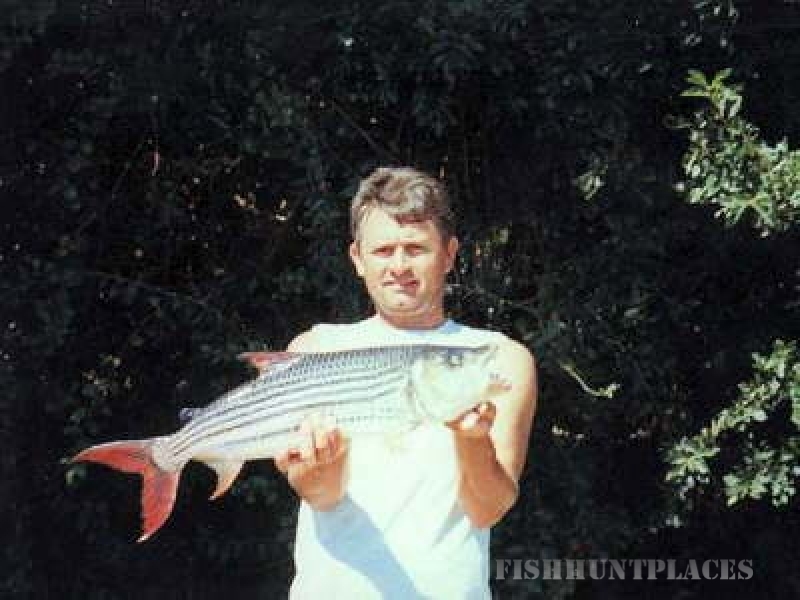 Try your hand at art lure fishing on the upper Zambezi for tiger fish, bream and barble (catfish) or enjoy fly fishing for the same species. The current Zambezi camp record on fly is 18.5 pounds. Imagine a 4 pound plus tiger on a 10 weight fly rig! Or drift bait for tigers in excess of 15 pounds. 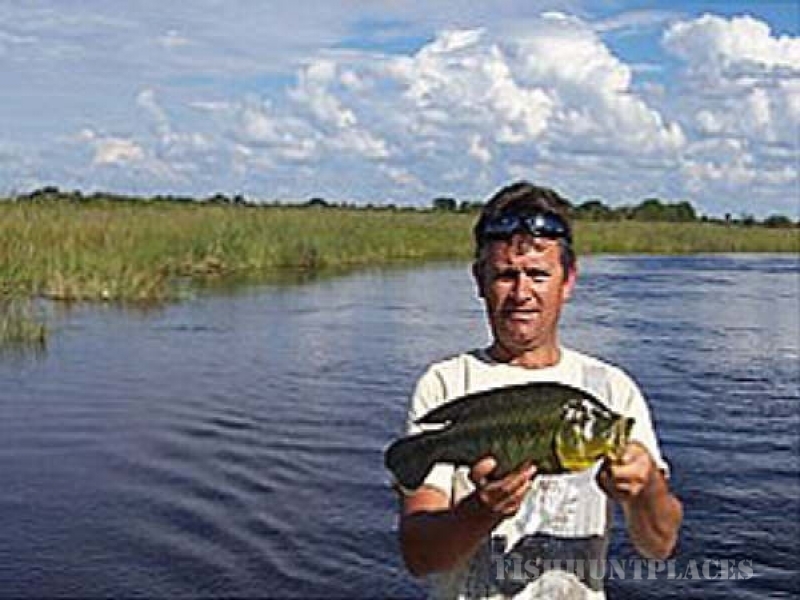 Your hosts Peter and Dave have vast experience of Africa and its fish, as well as its people, places, and wildlife. So let them take you on a professionally guided game drive or opt for an elephant back safari or white water rafting below Victoria Falls. Enjoy the hospitality at Kaliso Lodge. The magnificent scenery and full presence of nature will greet you in the morning and cover you at night.